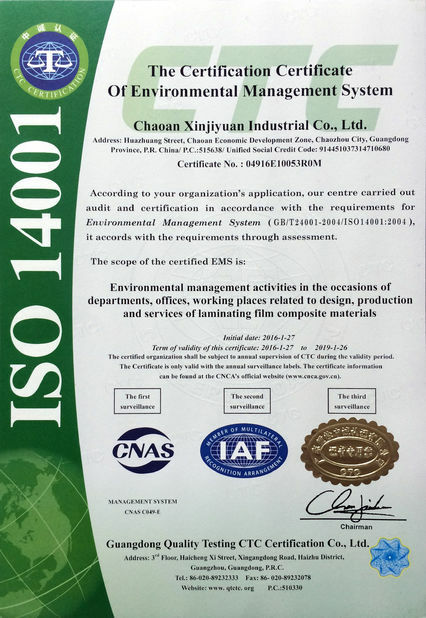 Quality Control - GUANGDONG NEW ERA COMPOSITE MATERIAL CO., LTD.
We are satisfied the cooperation with you, and the quality of your products, thanks for your follow up service, hope to work with you soon. 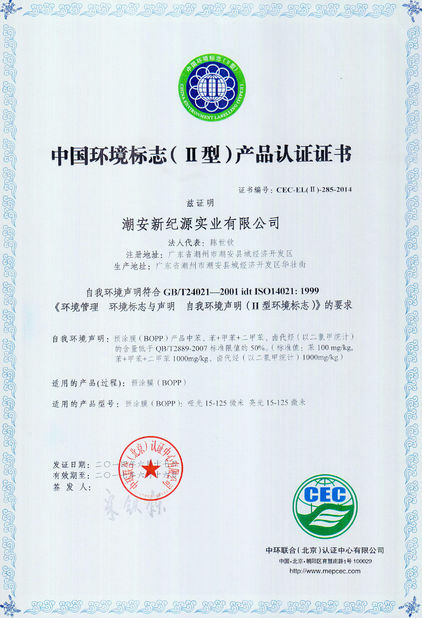 Guangdong New Era Composite Material Co., Ltd. have a number of intellectual property rights. Through independent research and development, we have formed a complete set of research and development system and production system. We continue to innovate and develop products to be more energy saving and multi-functional. We have successfully applied a scientific and technological achievements appraisal as ‘ new BOPP pre-coating film preparation method research and application ’. Furthermore, Chaoan District Technology Bureau and Chaozhou Technology Bureau have also granted us the 2015 Science and Technology Progress Prize. With strict management and first-class quality, we will provide best services for all customers. 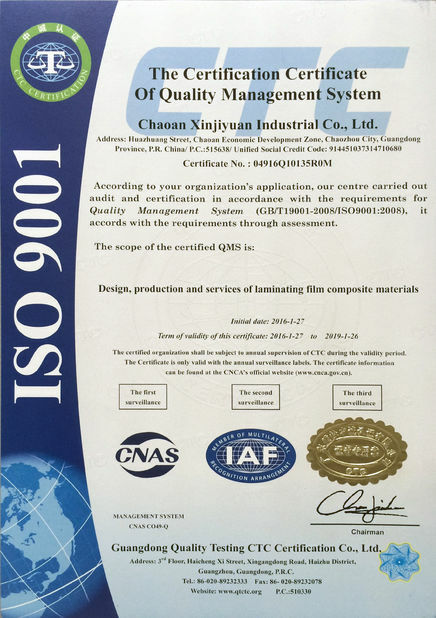 Issued By:Guangdong Quality Testing CTC Certification Co., Ltd.